Shares in gold miner Centamin (TSX:CEE) (LON:CEY) shot up more than 6% Wednesday after the company published fourth-quarter results that slightly exceeded full-year production guidance, and vowed to lift output again in 2018. The Egypt-based company generated 544,658 ounces of gold in 2017, compared to the expected 540,000 ounces. Centamin is now targeting 580,000 ounces in production for 2018, up from an estimate of 550,000-560,000 ounces. Centamin's gold production guidance from its Sukari mine in Egypt is 580,000 ounces, a 6% increase from 2017. Gold production of the company in the fourth quarter of 2017 stood at 154,298 ounces, which was 1.4% lower than its third quarter output, but which still represented a 12.8% increase over the fourth quarter production of 2016. The company’s London-listed shares jumped on the news and were trading 6.08% higher to 163.52 pence at 2:17PM GMT. Centamin, which plans to expand operations to Ivory Coast and Burkina Faso, said it has seen continued positive results from drilling at Sukari, its only operating mine and Egypt’s sole gold-exporting mine. "All sections of the mine continued to perform well, maintaining strong operational momentum throughout the fourth quarter which we look forward to building on in 2018," chief executive Andrew Pardey said in a statement. Sukari has produced around 100 tonnes of gold since it started operations in January 2010 and still has about 20 years of economic reserves and resources in both open pit and underground areas. 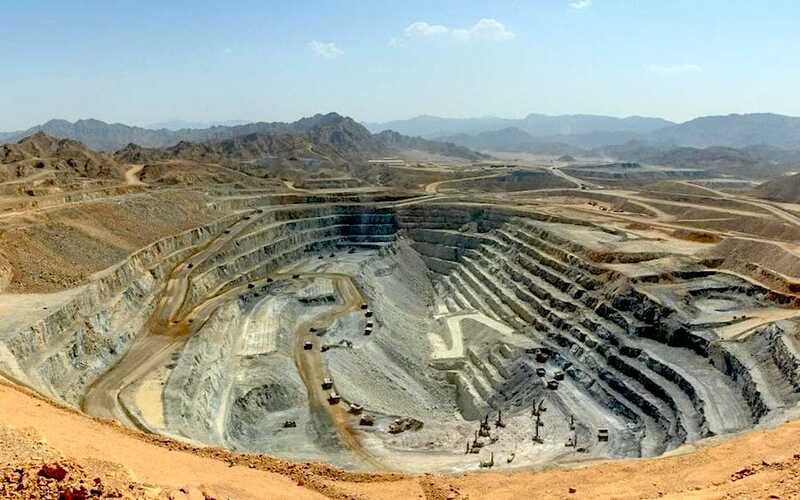 The mine’s average monthly production spans between 1.2-1.5 tonnes of gold, and shipments from the mine represent about 2% of all of Egypt’s exports, according to Centamin. The company is scheduled to announce annual results for the year 2017 on January 31.